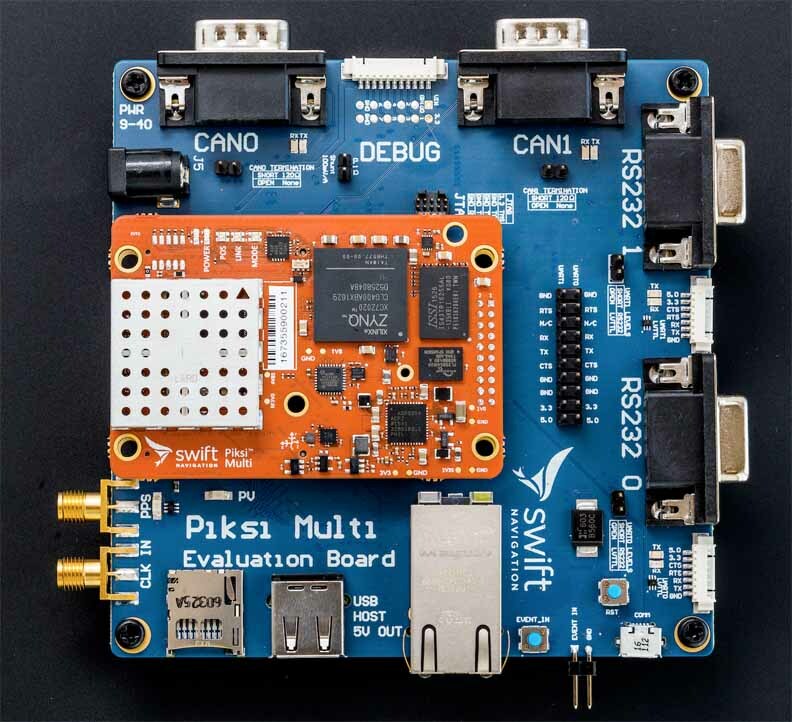 San Francisco-based Swift Navigation recently announced the second major firmware upgrade to its flagship product Piksi Multi GNSS Module. The upgrade is available at no cost to Piksi Multi users and provides initial support for a new constellation (GLONASS), as well as increased functionality and improved performance, according to the company. • GLONASS Support – The new firmware provides dual frequency (L1/L2) GLONASS raw measurements for use cases such as post-processed kinematic (PPK) and custom navigation engines. Additionally, initial GLONASS navigation outputs expand receiver capability for Single Point Positioning (SPP). Further GLONASS navigation performance improvements are planned for future firmware releases. Piksi Multi Firmware 1.2. Photo courtesy of Swift Navigation. • Fundamentally Improved RTK Float Solution – Piksi Multi’s float RTK output has been tuned to optimize the solution for autonomous machines and precision navigation. There is a step-change improvement of positioning performance in float mode. In fact, new and improved float solution performance can often fulfill precision navigation requirements. • RTK Robustness – Swift has added a Measurement Integrity Assurance (MIA) feature that ensures only top quality pseudorange and carrier phase range measurements are used for navigation. This will improve navigation performance in the face of poor measurement conditions from multipath, pitch and roll of the antenna on dynamic vehicles, and temporary obstructions. • Fundamentally Improved SPP Solution – Improving on its original “single epoch” SPP, version 1.2 firmware has an advanced SPP solution that brings Swift’s estimation and filtering expertise to bear on the Single Point Position output when there are no RTK corrections. Version 1.2 also harmonizes the SPP output with Swift’s Differential Positioning output. • Improved I/O Capabilities – This release continues to improve upon input/output (I/O) capabilities in the Piksi Multi receiver. 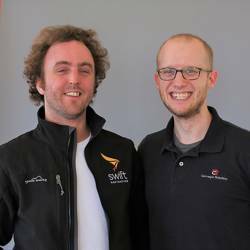 Two fully configurable TCP/IP clients have been added, which, when coupled with the TCP/IP server features from prior releases, allow users to send and receive Swift Binary Protocol (SBP) information including RTK corrections across any LAN through settings changes only. The release also allows modification of the numerical TCP/IP server ports for compatibility with legacy systems. Version 1.2 also has improved stability of the micro-USB serial interface through a key bug fix to this interface. The addition of a Linux serial console and network adapter over the micro-USB interface allows advanced receiver command and control for developers. “The 1.2 firmware release marks a new era of performance for the Piksi Multi/Duro product lines. We have added GLONASS support for positioning and GLONASS raw observation output for PPK use cases, which makes the Piksi Multi/Duro product lines feature complete for a wide variety of applications,” said Anthony Cole Ph.D., lead estimation engineer at Swift Navigation. For detailed instructions on how to upgrade your Piksi Multi device, refer to Section 7 of the Getting Started Guide-entitled Piksi Multi – Upgrading Firmware.